We made this Spiderman Quesadilla dinner using 2 taco sized whole wheat tortillas, black beans, shredded cheese, salsa, and sour cream. We put our tortilla on a plate and sprinkled cheese on top and some black beans. We put the other tortilla on top of that and popped it in the microwave for 1 minute. We spread some salsa on top to make it red. They actually have reddish tortillas that you can buy at the store as well if you want to skip the salsa. We put our sour cream in a bag and snipped off the corner to pipe on the web face. 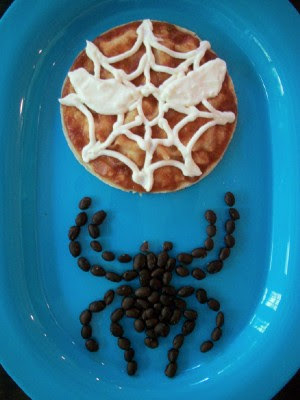 We heated up the rest of the black beans and made our spider logo out of those. 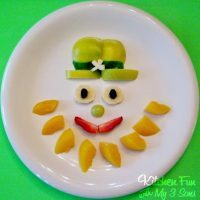 Such a fun dinner to make for little boys! 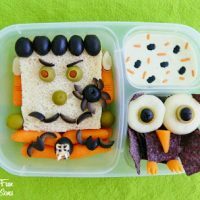 They thought it was so cool and it’s a great way to get kids to eat lots of black beans! Next Post » A Fun Fish Dish! I just love your site! It is so unique and so creative! 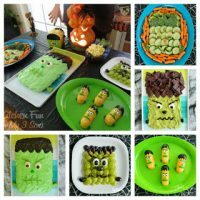 I don't have children yet, but I still want to make these fun treats to enjoy myself! I am your newest follower! Wickedly brilliant & right up my alley. I would love for you to show this off at my Wickedly Crafty Saturdays! Link is open until 11pm tonight. Great idea! I couldn't tell that it was a quesadilla- I thought it was rasins and a bagel! goodthing I took a closer look! Come and share this with WorkShop Wednesday. It would make a great addition to the party! You made my day – sooo glad to have found your blog! I'm a mom of three boys toy, and we are all about the super heroes over here! I just signed up to be a follower – keep these great BOY (and boy mom) ideas coming!! We are so glad that you like it…thank you!